Heraklion is the capital and largest city of Crete and the island's largest port. Heraklion has one of the largest in the country's airports traffic (Airport "Nikos Kazantzakis") and port with large passenger and freight traffic. 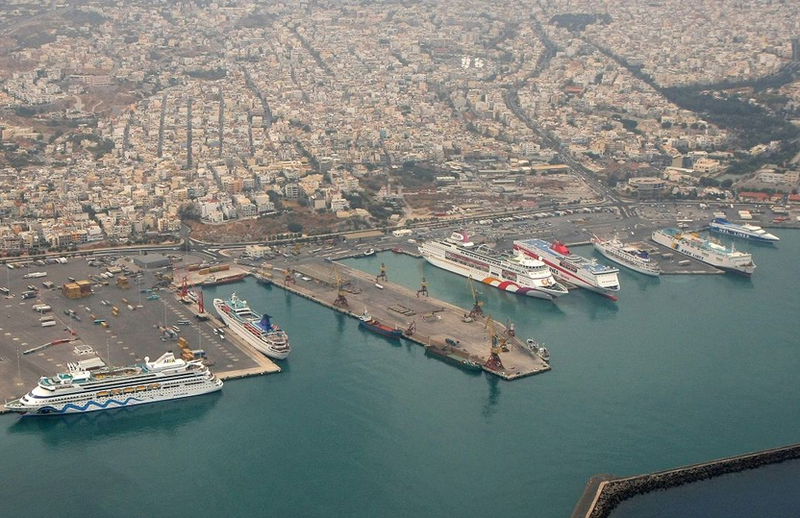 The port of Heraklion is the main and most modern passenger and cargo gateway to the island of Crete. Heraklion port served by urban and intercity KTEL Irakleion with itineraries from the Center to the entire city and the surrounding areas. The KTEL Crete connects Heraklion with the entire rest of the island. (phone KTEL Heraklion 2810-245020. visitors of Crete serviced with taxis in port of Heraklion (telephone 2810-211212). On the Heraklion port leave daily the ships of Minoan Lines and Anek-Superfast Consortium for Piraeus. Services also run daily during the summer months to the Cyclades, Santorini, Naxos, Paros and Mykonos with speedboats of Hellenic Seaways and Sea Jet. The port of Heraklion is also associated with the islands of the Dodecanese, Rhodes, Karpathos, kasos and Halki to conventional ships of AIGAION PELAGOS. Air Champion24 .com offers ferries to and from Heraklion on all services performed from any port of Greece. You can easily search and choose your ferry route that it serves, easily and instantly. The booking takes place in real time using your credit card or by making a booking with the help of the staff of our Office.